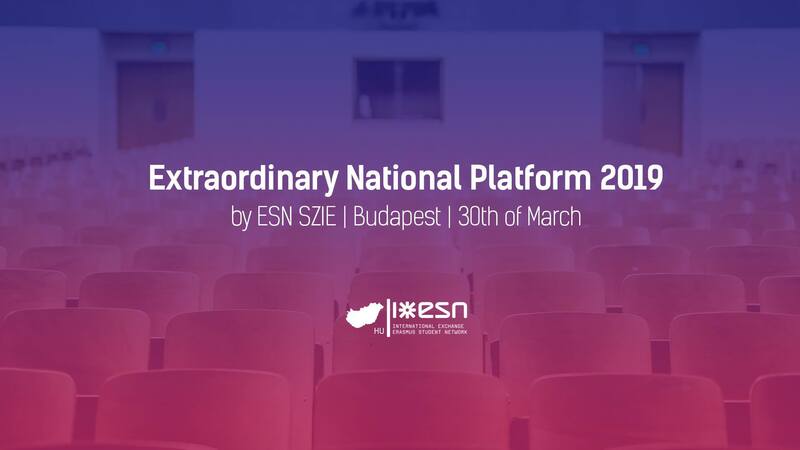 On the 30th of March, we will be holding an Extraordinary National Platform organised by ESN SZIE, because of the vacant National Board positions. The price will be 1500 HUF 💸 to cover the costs of printing🖨️, coffee breaks☕, rooms, other possible costs. You will be able to get lunch 🍽️ in several places around the university, the lovely OC will provide you a guide. Regarding the payment, you have to pay upon arrival in cash.